Our product range includes a wide range of neon gas, xenon gas, krypton gas, argon gas and industrial xenon gas. We are engaged in providing Neon Gas as per customer’s requirement and usage. Neon Gas is used in a production of incandescent bulbs and fluorescent tubes, space industries, Electronics, Gas ionic laser & as a coolant in the cryogenic industry. Leveraging on our intelligent professionals, we are presenting a wide assortment of Xenon Gas. Xenon finds wide application use in the lighting industry, thermal mirrors & windows manufacturing, chemical technology and exotic diving gasses. The offered Xenon is developed in accordance with international industry norms and quality parameters. In the offered Xenon, our professionals use the approved formulation during the manufacturing process. Furthermore, our professionals opt for strict quality inspection made on the Xenon to ensure high reliability. With the assistance of our deft team of professionals, we are able to introduce a broad array of Krypton Gases. 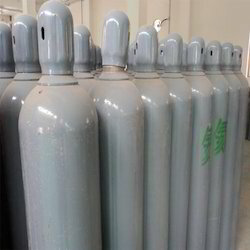 The offered gas find wide application use in the production of incandescent bulbs and fluorescent light tubes, gas ionic lasers, gas mixtures or varied applications and exotic diving gases. 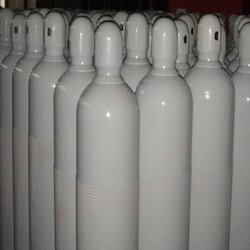 These gases are developed using approved formulations. Our professionals opt for strict quality tests throughout the production of the gases to guarantee high reliability. The provided gases are made accessible in different capacities. 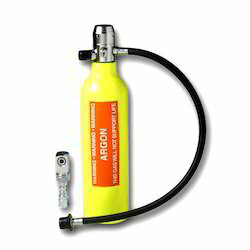 We are engaged in providing our clients with Argon Gas that shows heat isolating effects. Colorless, tasteless, odorless and not- corrosive, our gas is perfect for various forms of welding carried out in the automobile, chemical, fabrication and pharmaceuticals industries. In addition to this, we provide this gas in different size of a cylinder at industry leading prices to fulfill customers requirements. We are engaged in offering Industrial Xenon Gas. Xenon finds its use in the lighting industry, thermal mirrors & windows manufacturing, Chemical Technology & exotic diving gasses. Xenon Gas is a rare, odorless, colorless, tasteless, chemically unreactive gas. It was regarded as completely inert until, in 1962, Neil Bartlett reported a synthesis of xenon hexafluoroplatinate. In a gas filled tube, xenon emits blue light when excited by electrical discharge.